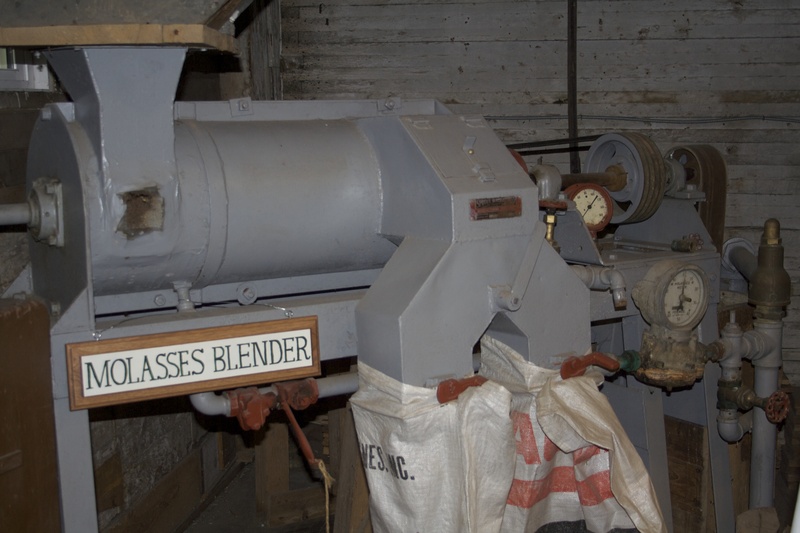 The Mill had a 3000 gallon molasses cistern in the basement under the ice cream shop kitchen. 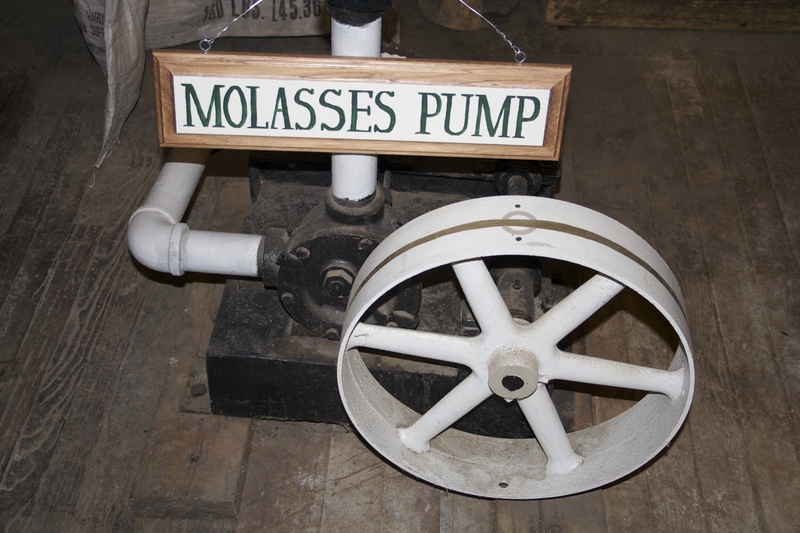 The molasses was pumped up to the first floor using the molasses pump and then fed into the molasses blender to make sweet feed for horses. When we built the ice cream shop, code wouldn’t let us have the access in the floor of the kitchen so we had to cut through the wall of the cistern which was a foot thick reinforced concrete.